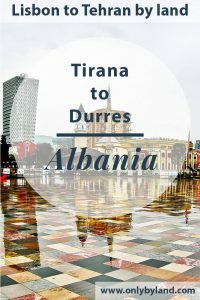 Hotels are fairly priced in Tirana Albania, you should find a good deal. 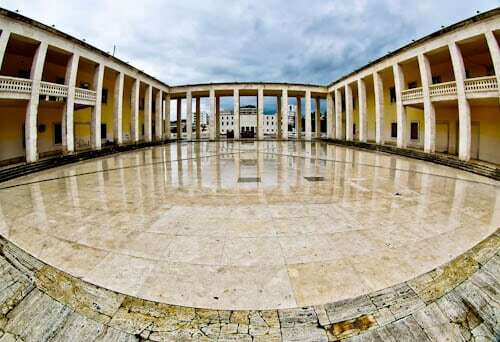 Skanderbeg Square is a huge central plaza in the center of Tirana. As a matter of fact it’s over 40,000 square meters therefore one of the largest central squares in the world. 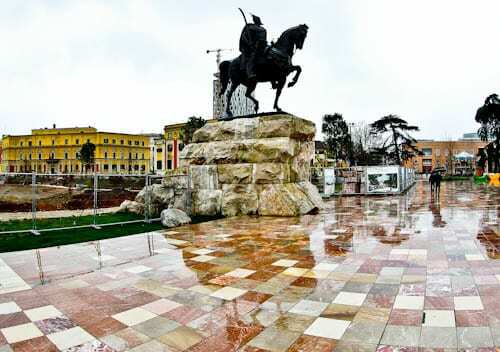 The Skanderbeg statue is the centerpiece of this square. Who was Skanderbeg and why does he have a huge square named after him? Skanderbeg was an Albanian hero who led a rebellion against the Ottoman Empire in the 14th century. Moreover, most of the points of interest of Tirana are located around this square therefore I recommend you stay closeby. 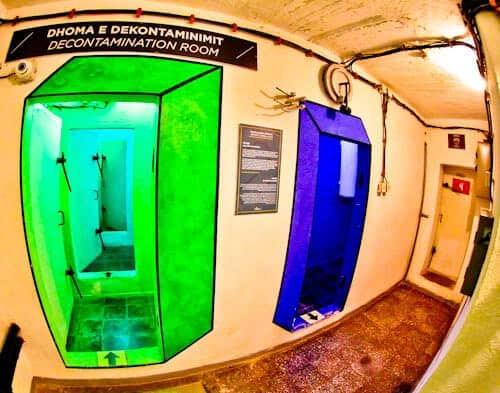 Did you ever have the desire to visit a cold war nuclear bunker? Tirana offers the most convenient way to visit one of these. Alongside Skanderbeg Square is the entrance to a nuclear bunker known as Bunk’Art 2. Bunk’Art 1 is another nuclear bunker located on the outskirts of the city. Bunk’Art 2 is open daily and you can visit every part of this huge underground bunker. There are several rooms which display information about how life was under the rule of Enver Hoxha. Moreover, as with Chernobyl and Mostar Sniper Tower, this is a very unique museum. Et’hem Bey Mosque was completed at the beginning of the 19th century. The interesting story about this mosque is that it was shut down during communist rule. In 1991 however, the people started to use the mosque again. Although they were technically using it without permission, no authority intervened and it has been used as a place of worship ever since. You’re welcome to go inside but avoid praying times and take off your shoes. As with all mosques men must wear trousers and women must cover up well. Adjacent to the Et’hem Bey Mosque is the Clock Tower of Tirana. 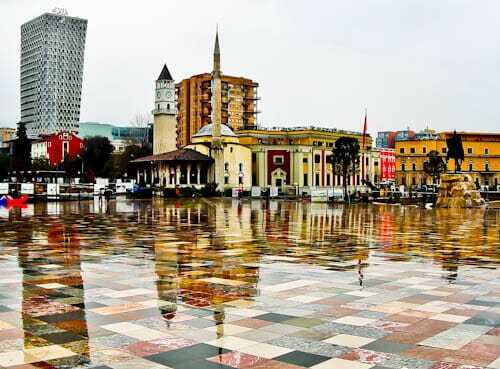 It was the tallest building in Tirana Albania when it was built in 1822. You can climb the 35 meter clock tower for a view over Skanderbeg Square. The National Museum of History is the largest museum in Tirana. In fact, it’s famous for the huge mosaic displayed over the entrance. The mosaic illustrates the historic Albanian up to the modern day Albanian which is relevant for the museum it hangs on! As well as explaining the history of this part of the world, there is a Mother Teresa section. Remember, Mother Teresa is from this part of the world and has a cathedral dedicated to her in nearby Pristina, Kosovo. The last thing I expected to see when I was exploring Tirana was a huge pyramid. 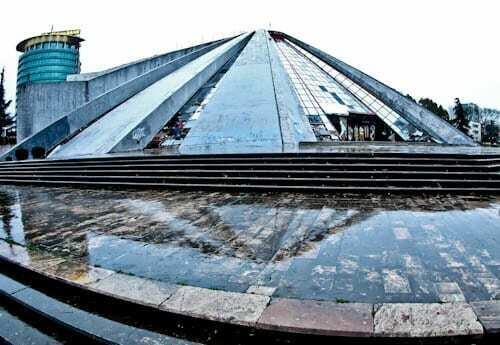 As a matter of fact it was built as a museum about the former dictator, Enver Hoxha. He ordered its construction but died 3 years after it was completed. An interesting fact is that when built it was the most expensive structure in Albania. After the death Enver Hoxha the pyramid became an exhibition center and also a NATO base during the Kosovo war. When I visited in 2018 it was in a state of disrepair and the government were deciding its future. The National Museum of Fine Arts contains over 5000 pieces of art. As you would expect in a country with a turbulent history, some of the artwork is quite extreme. 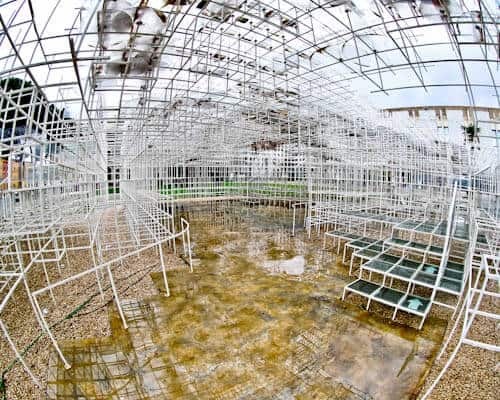 In front of the National Museum of Fine Arts is the Cloud which is also known as the Cloud Pavilion. This is an excellent Instagram spot in Tirana and a wonderful example of Albanian creativity. Furthermore, at night it’s lit up and glows white. You can photograph it from a distance or walk inside the cloud. As it’s located in front of the museum, entrance to the cloud is free. 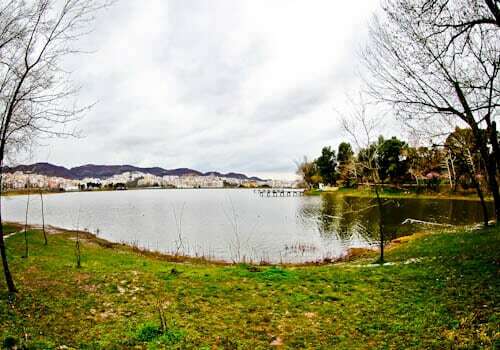 The Grand Park of Tirana is exactly that, it’s 230 hectares in size and contains a huge man made lake. On a calm sunny day you can make some perfect reflection photography in the lake. Additionally, there’s a botanical garden, zoo as well as a church. Even the Presidential Palace is also located near the entrance to the park. The Grand Park of Tirana is perfect if you’re visiting the city with kids. Furthermore, there is smaller park located alongside Skanderbeg Square called Rinia Park. Nowadays the president of Albania is not as paranoid as previous ones (Enver Hoxha!). 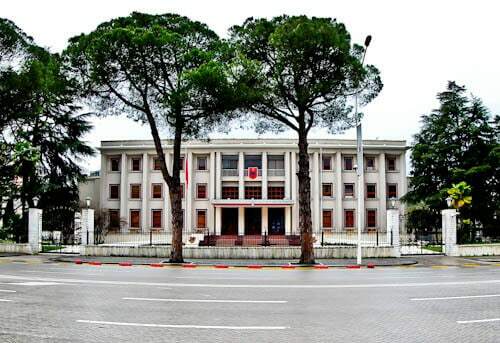 In fact the President’s Palace is located adjacent to the Grand Park of Tirana and you’re welcome to photograph it. For the Instagram photographers, you’re welcome to do your Instagram poses in front of the palace. The building was originally the Royal Palace and housed the countries only king, King Zog I of Albania. He served as king from 1928 until 1939. Before that he served as President and also Prime Minister! I doubt you can think of anyone else who has been Prime Minister, President and King in their lifetime. If you can, please share it in the comment section below. The Resurrection Cathedral is noteworthy because it’s the 12th largest Orthodox cathedral in the world. The largest is Saint Isaac’s Cathedral in St Petersburg. 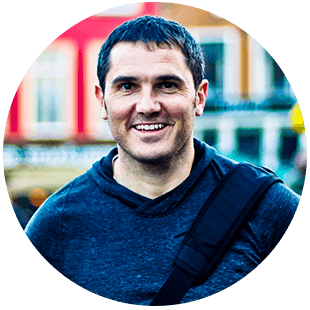 Second largest is Christ the Saviour in Moscow and third is Saint Sava in Belgrade. 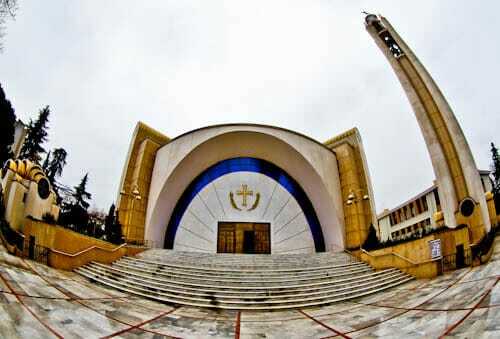 It was completed in 2014 and therefore is one of the modern Orthodox cathedrals in the world. You’re welcome to go inside and explore the huge interior. 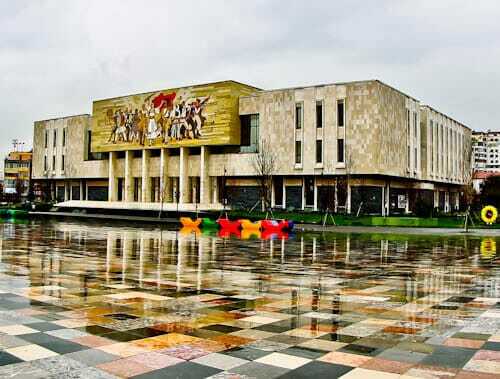 As a result of Albania being under communist rule for decades there are thousands of ugly communist era buildings. Recently the government made a plan to brighten up these ugly / boring buildings. 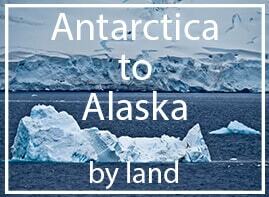 To destroy and rebuild them would cause much disruption, not to mention the cost! The solution to this was to paint the existing buildings in bright colors. 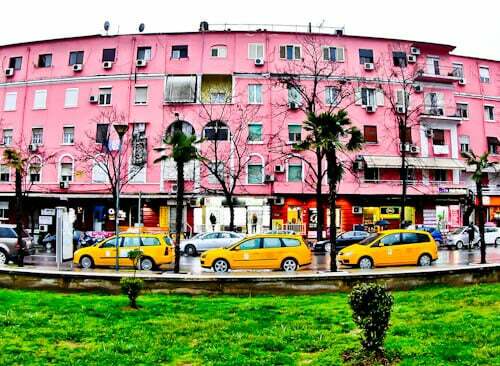 With all the colorful buildings you see in Tirana today it has become quite an Instagram worthy city! The museum has information about archaeological discoveries in Albania from the Stone Age up until the times of the Ottoman Empire. Even if you’re not interested in this museum it’s worth checking out the museum building which is an Instagram worthy area. In addition, the museum is located on Mother Teresa Square which in itself is a tourist attraction. Other buildings surrounding this huge square include grand university buildings, Albanian Congress as well as the President’s Palace. There are several bus stations in Tirana. 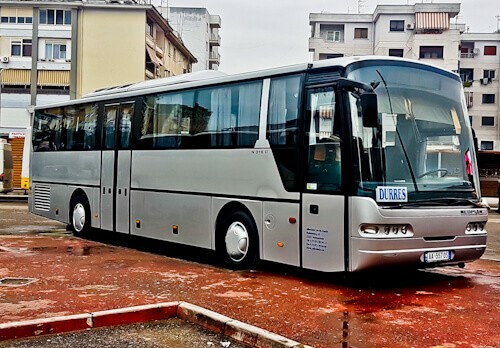 To get from Tirana to Durres you must take the bus from Dogana bus station. Buses leave every half hour and are very cheap. The buses are large but packed with seats, as a result there is very little legroom. Fortunately the bus heads straight down the highway to Durres therefore the journey should take less than 45 minutes.